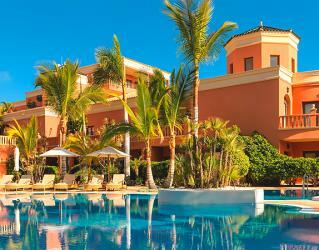 Hotel Las Madrigueras is a superb five-star hotel in Tenerife, home to one of the stunning championship golf courses in Spain; Golf Las Americas. The direct access from the hotel to the first tee of the fantastic course contributes to its being one of the most preferred golf holiday bases in Tenerife. The Ritz-Carlton, Abama is a quality five-star hotel in Tenerife offering a luxury golf holiday experience and the onsite 18-hole Abama Championship. Golf Course is one of the top golf courses in Spain. Designed by the former Ryder Cup player Dave Thomas, the course offers impressive Atlantic Ocean views from almost all of the 18 holes. The Hotel Suite Villa Maria is composed of 78 magnificent villas, each of which enjoys a privileged orientation with a panoramic view of the Atlantic Ocean, La Gomera Island and the stunning mountains of Tenerife. Their different architectural styles from the Canary Islands will make you enjoy the feeling and the typical culture of our islands, always betting for a perfect decoration joined together with the modernity that guests demand today. 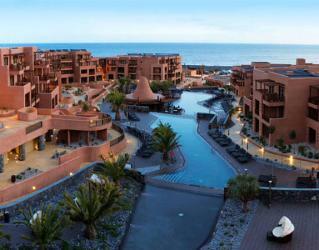 Spectacular adults-only resort in a privileged location in the northwest of Tenerife, next to the Teno cliffs. Surrounded by the Buenavista golf course and with imposing views of the Atlantic ocean, the area is considered a protected natural park and is also known for its mild climate all year round. 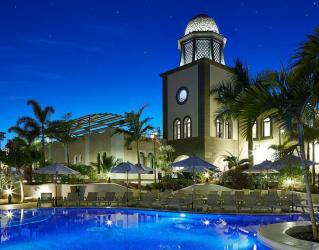 A golf friendly hotel in Tenerife, Hotel Jardin Tropical is a fantastic four-star hotel. 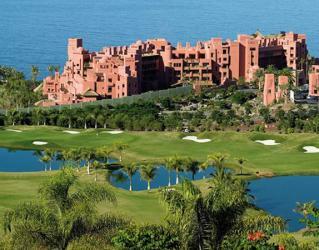 Some of the golf courses are nearby, making Jardin Tropical an ideal base for a golf break in Spain. One of the best and quality hotels in Tenerife, Spain, Vincci Tenerife Golf Hotel is right on the edge of the sea, only 5 km away from the Reina Sofía airport. 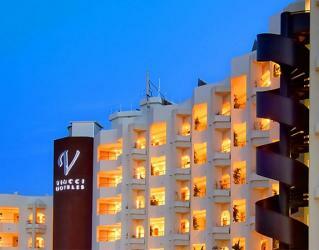 Vincci Tenerife Golf is a delightful, four-star hotel 1000 meters away from the "Golf del Sur" golf course. 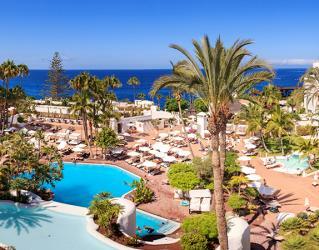 The Hotel Melia Jardines del Teide is situated on Costa Adeje, the most exclusive zone of the south of Tenerife. 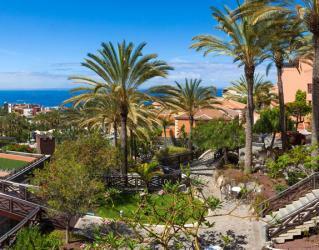 Only steps away from Playa del Duque, it boasts unique architecture suited to the environment, 12,000 m2 of gardens of autochthonous plant life and terraces, surrounded by a privileged enclave considered to be the "Golden Mile" of the south of Tenerife. 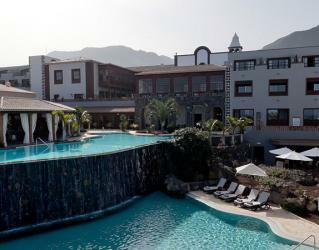 The exceptional location of Hotel Aguamarina Golf, close to the Atlantic Ocean, is a perfect place to enjoy the perfect holiday in the South of Tenerife in the Canary Islands. The privileged location of Hotel Aguamarina Golf between golf courses, Golf del Sur and Amarilla Golf, enable an unforgettable holiday experience, providing your favorite sport. 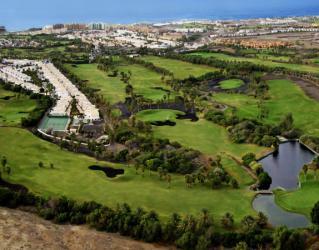 Two world-renowned golf courses in Tenerife lie neighbour to Sandos San Blas Nature Resort & Golf: Amarilla Golf and Golf del Sur. Enjoy this Tenerife Golf Courses with a total of 45 holes of golf as well as driving ranges, pro shops, snack bars and much more at out two partner golf courses.